Rugged reliable and specifically designed for heavy-duty field use. 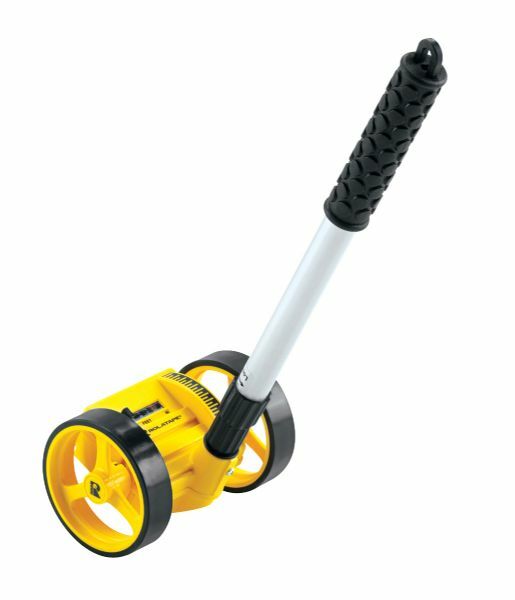 * Specially-crafted hand grip provides firm control and easy operation even over rough terrain. Completely sealed counter measures up to 100000 feet without resetting. * Five-year warranty.Light and easy-to-handle for accurate measurements on firm surfaces both indoors and out. * Dual wheels provide exceptional traction and stability. * Completely sealed push button counter records feet and inches to 10000 feet without resetting. 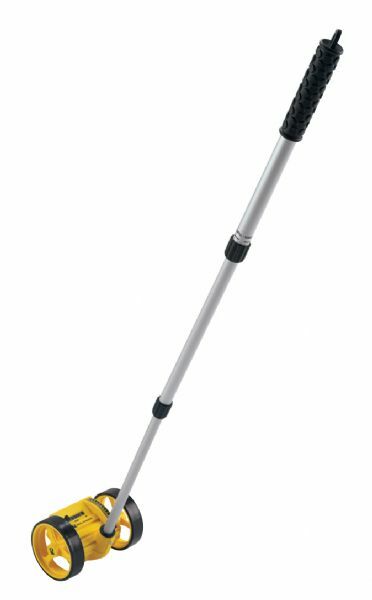 * Three-piece telescoping handle collapsed measures 19¼ " extending to 40½". * Wheel circumference 1 foot. * Weighs 2 lbs. Safety-green counter casings. 18.75" x 4" x 0.75"